Home High Courts Justice Tahira sworn in as first woman chief justice of a Pakistani high court. QUETTA: In a historic oath-taking ceremony, Justice Tahira Safdar was sworn in as first woman chief justice of a Pakistani high court on Saturday. Held at the Governor House, Justice Tahira's oath-taking was administered by the Balochistan High Court (BHC) chief justice Muhammad Khan Achakzai. Her nomination as chief justice of BHC was confirmed in July by Chief Justice of Pakistan Mian Saqib Nisar. 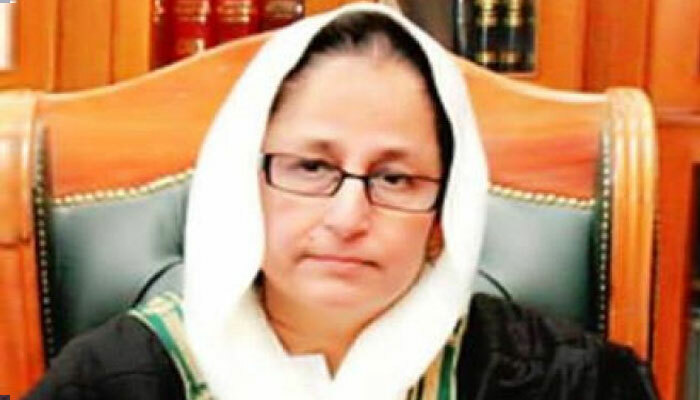 Furthermore, she has rendered her legal services as the first woman civil judge of Balochistan. She also enjoys the distinct stature of being the first woman to be appointed in all posts she has served on.